MK 24V 5Amp Battery Charger with 3-pin plug. yes I am very happy now since I got the charger, I have now got my scooter back in working order.thanks a lot. Just what we expected. Good delivery times. Our purchase from you was smooth, effortless and very efficient. Well done !! Very helpfull in communications, Prompt delivery with the items well packed for protection. Fast responce and service throughout. Very Good and very pleased. 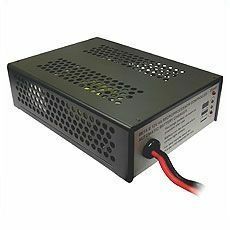 24V 5A Automatic battery charger for sealed lead-acid and gel batteries.